Our aim is to cultivate a love of music through a holistic learning journey with your child. We've discovered that one of the common challenges children face is reading and remembering musical notes. With that in mind, our team has created a customised curriculum to pair with a music practice software to help make piano learning simple, stress-free, and fun. We believe that everyone can play when given the right tools. With the emphasis on the learning process, we choose to celebrate every child's progress at our termly concerts - which provides us with another opportunity to throw themed parties! The use of interactive visuals make the learning process engaging, easier and fun. Lessons are designed with appropriate gradualism, according to each child's learning style and pace. Music appreciation components boosts concentration, self-discipline, discovery and listening skills. We understand that you want to try a class before committing to a package of lessons. 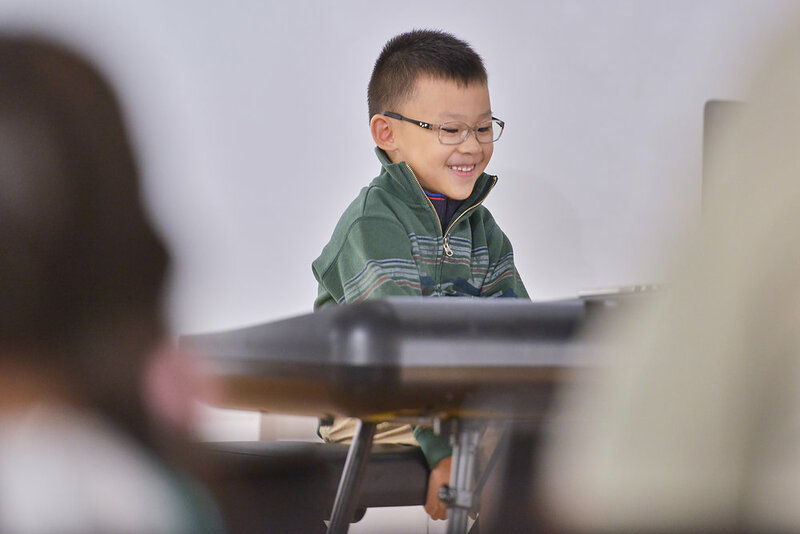 Whether or not your child has had prior music background, our teachers are ready to provide a brief assessment to determine the most suitable level for your child. Call us or leave us a message and we would be most happy to share more with you!